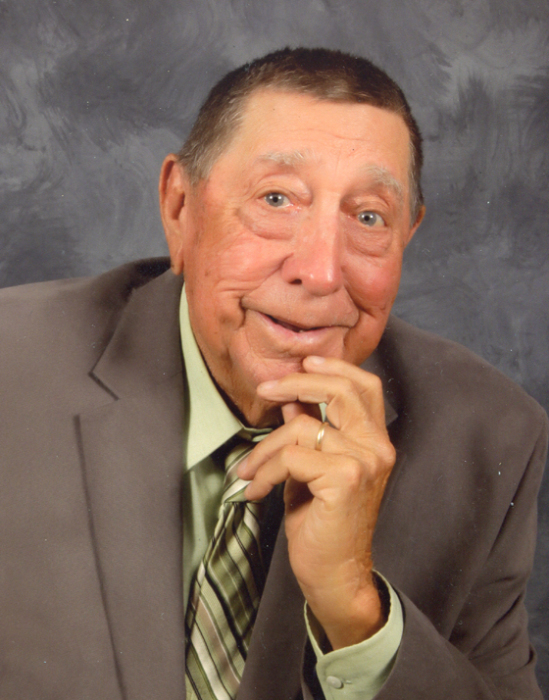 Guy “Wimpy” Atherton 86, of Utica, Kentucky went home to be with the Lord on Thursday, April 4, 2019 at the family farm where he was born. Guy Randall Atherton was born July 16, 1932 in McLean County, Kentucky to the late Ollie and Adena Bell Atherton and was married to the former Lorena Mae Qualls on December 22, 1956. He was a lifelong dairy farmer and lifelong member Buck Creek Baptist Church. Guy was a 1952 graduate of Utica High School and a U.S. Army Veteran of the Korean War where he served from1953-55. He was a 62 year member of Utica Lodge #742 F.& A.M., 25 year member of Rizpah Shrine, 60 year member of Woodmen of the World, and proud member of McLean County V.F.W. Memorial Post 5415 In addition to his parents, Guy was preceded in death by a son, Bobby Guy Atherton in 1973 a sister, Anna Belle Dunn, three brothers, Clarence Atherton, Hilton Atherton, and Horace “Toad” Atherton. Survivors include his wife of 62 years, Lorena Q. Atherton; a son and his wife, Duane and Brenda Atherton of Utica and their son Clint Atherton; a daughter, Dena Atherton of Utica and her daughter Kelsey Clouse (Kevin); great grandchildren, Hadley Mae Clouse, Mason Daniel Clouse, and another expected in September; a brother, J.M. Atherton of Calhoun; a sister, Gertrude Knott of Owensboro; and several nieces, nephews, and extended family. Funeral services will be held at 11:00 A.M. Monday at Buck Creek Baptist Church with the Rev. Tommy Webb and Rev. Jerry Tooley officiating. Burial will be in the Greenbrier Baptist Cemetery in Daviess County with Military Honors conducted by the McLean County Veterans of Foreign Wars Memorial Post #5415. Friends may visit with Guy’s family from 3:00 P.M. until 8:00 P.M. Sunday with Masonic services at 7:30 P.M. at Muster Funeral Homes, Livermore Chapel and from 9:00 A.M. until services Monday at Buck Creek. The Guy Atherton family requests that expressions of sympathy take the form of donations to Leukemia & Lymphoma Society; 301 East Main Street, #100; Louisville, KY 40202 or Greenbrier Baptist Cemetery; C/O Larry Barker; 522 Bolivar Street; Owensboro, KY 42303. Memorial contribution envelopes will be available at Musters in Livermore. Share your memories and photos of Guy at musterfuneralhomes.com.